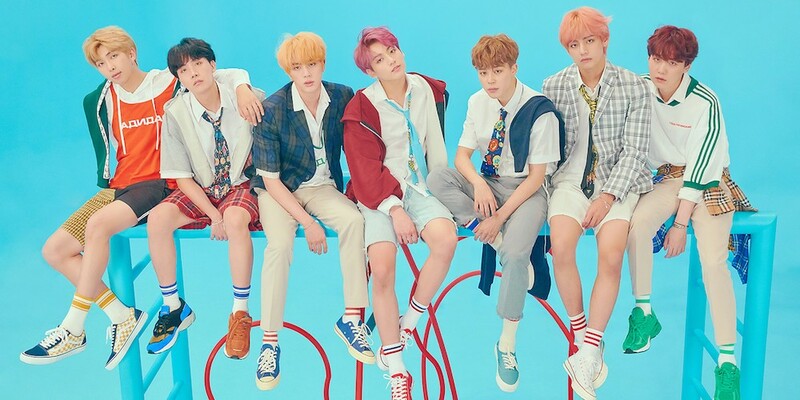 BTS take home the triple crown with 'IDOL' + performances from the on the September 16 episode of 'Inkigayo'! On September 16, SBS's 'Inkigayo' aired its latest episode featuring performances from all your favorite idols, along with MCs DIA's Jung Chae Yeon and Song Kang! On this episode, Oh My Girl made a comeback with "Remember Me", Hyomin held her solo comeback stage with "Mango", and Pentagon also came back with "Naughty Boy". 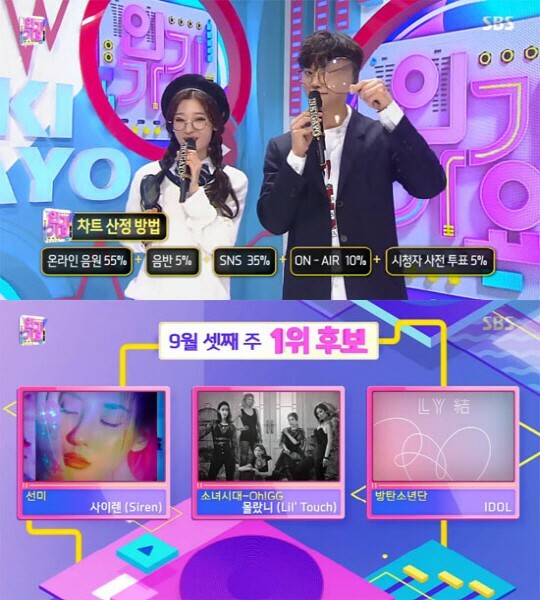 This week, the nominees for 1st place were: BTS with "IDOL", Girls' Generation Oh!GG with "Lil' Touch", and Sunmi with "Siren". For the third week in a row, BTS took home the win, earning them a triple crown on 'Inkigayo'! Check out performances from this weeks below! Other performers on this episode: Rothy, D-Crunch, Norazo.